Chris Craft Antique Boat Club In Cedar Rapids Spared. But There's More To The Story.. 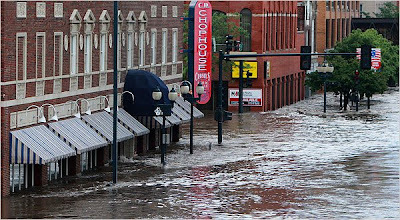 The Chris Craft Antique Boat Club Headquarters has survived the flood waters in Cedar Rapids. But just by the skin of its chiny chin chin. You can read the day to day drama with photos from Bill Basler of the Club on the Boat Buzz. But not getting water damage is just the beginning if the hell. Like everyone, watching the TV news you only get the sensational part of the story. 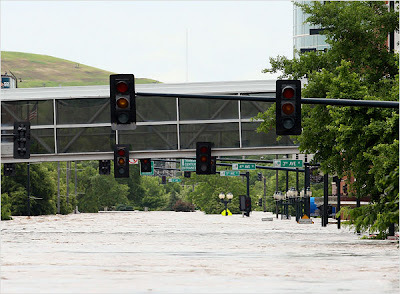 Well, now that the water is receding in Cedar Rapids, now that the images and impending doom are gone., now that FEMA is there… and going strong by the way, why report on it anymore? I suppose its a sad commentary on us and our attention spans. But if you live and work there, it’s front page.. front porch news 24/7. No water! Trash, Sewage, disease…. The damage is apocalyptic. Homes, schools, churches, businesses are destroyed… But one thing is for sure, the community wasn’t..the folks that live there are the true back bone of America. They care for each other and if this sort of terrible thing had to happen again.. The folks of Cedar Rapids Iowa have shown the world that Americans are strong and good people. Our hearts and prayers are still with them, regardless of whats on the news.